If you haven’t heard already, Tere O’Connor is taking over Seattle this week. The acclaimed American choreographer is in town to show his seminal suite of works: poem, Secret Mary, Sister, and BLEED, which collapses the first three pieces into one. 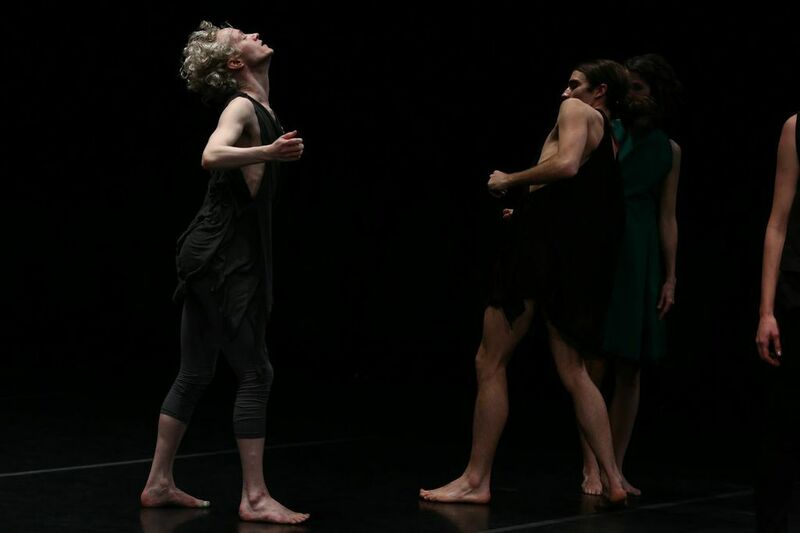 To accompany these performances, Velocity Dance Center and On the Boards have curated Irreconcilability, a series of events over this nine-day stretch that allows audiences to further explore O’Connor’s choreographic world. It’s a good thing too, because O’Connor’s world is vast and rich. It necessitates deeper exploration, and simply seeing one performance doesn’t seem like enough. Indeed, BLEED, which was developed over two years, is accompanied by an eponymous process blog written by O’Connor and performance scholar Jenn Joy, that chronicles, well, his process. In addition to this body of written work, O’Connor has many eloquent writings on his choreographic approach. Monday evening’s “Book Club” at On the Boards used O’Connor’s Unviable Structures as a jumping off point for discussion, though it quickly dissolved into a broader conversation. The entirety of that conversation is too much to recount here, but much of it is worth mulling over and relaying to give added context for viewing his works this weekend. O’Connor is extremely eloquent and unpretentious in both speaking and writing. He manages to deliver rather heady philosophical insights in a matter-of-fact way without sounding condescending. The ideas O’Connor engages with aren’t always easy to digest, but he presents them as notions accessible to anyone who’s interested. For his part, he is most interested in continually furthering dance as an art form, but acknowledges that he speaks only to his process, and the way he’s found to make work through his extensive experience. The Monday discussion began with O’Connor stating that “irreconcilability” is an acknowledgment of his deeply contemplative process. There is much that is irreconcilable about dance. He maintains that people expect dance to tell a story, but that dance isn’t any good at that. In his work, he’s looking for dance to become a porous experience, almost a new medium, onto which everyone is capable of projecting his or her own stories—dance is a living entity open to any viewer. He seeks to “bring into evidence the actual stuff that choreography can do,” and he makes the possibilities seem infinite. Achieving these possibilities is another story entirely. He is clear that he is in an ongoing investigation of what those options can be, and it’s not something he has found yet. O’Connor’s views on dance feel both radical and logical. He’s interested in continual forward motion of dance as an art form, and seems to see dance as an extension of life, or a way of living in and of itself. But dance history, particularly concert dance history, often dictates a certain form or methodology. O’Connor’s approach is completely unconcerned with and unbeholden to this history. He doesn’t subscribe to the “Good/Bad” paradigm, and is simply in a continual practice of deepening his own craft. But how does he deal with the actual aesthetics of his work, when this paradigm has been discarded? O’Connor says he makes work as a person who’s studied many kinds of art, so those aesthetics show up in his dances. O’Connor also reiterated a theme of his recent choreographic workshop (see our write-up here) by stating that structure is much more important that the superficial layers of movement. He’s very interested in architecture and sees dance and bodies shifting in space as a “hallucination of architecture.” Instead of creating a representation of something, he creates movement and then quickly detaches it from its source material. Things take on a life of their own, he says. He works with “dance as a temporal form,” as opposed to a static sculpture. “The juxtaposition of things is where meaning occurs as opposed to reading the imagery,” he said on Monday. One question asked O’Connor to discuss how he started writing about dance, and how he sees written work relating to dance. He has been outspoken about dance criticism in the past: he noted how for a long time critics spread a very thin representation of dance, although he sees this beginning to change. He says he strives to talk about dance without being reductive, because audiences are smarter than we give them credit for. “Dance resituates language. It’s like grammar with no nouns,” he says. Dance can be used in tandem with language to act as an entirely different system that can acknowledge complexity and communicate ideas. 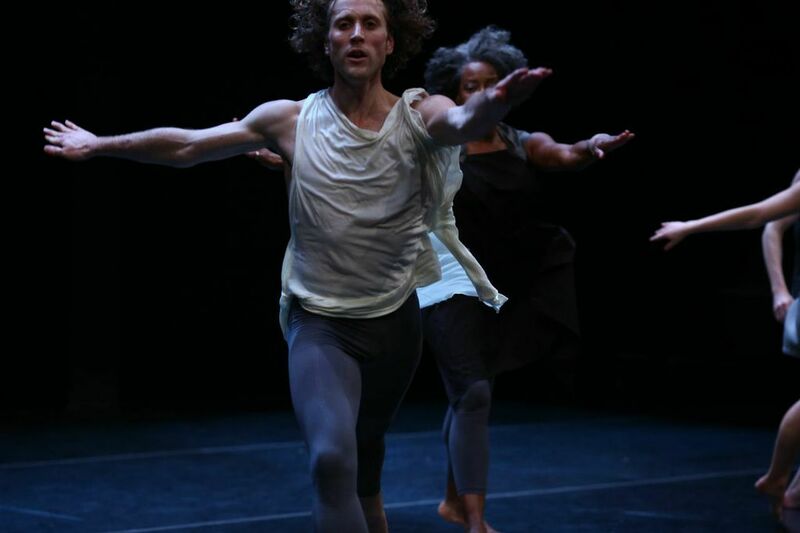 In Unviable Structures, O’Connor coins the term everythingness to describe his method for “processing a constellation of ideas and to create a rigorous choreographic rendering of their particular coexistence.” The word seems a fitting container to hold both how he creates dances and how he views dance as a whole. There’s always a multiplicity of viewpoints and ideas at play in dance, and it’s capable of encompassing anything, which is to say everything. O’Connor says he likes to think of a performance as a road trip. Everyone’s in the same car, but someone might be focused on the trees outside, while someone else might be looking at their feet the whole time. You arrive at the same destination, but everyone’s had a slightly different journey. In O’Connor’s mind, the same holds true for viewing choreography. Without yet having seen his work onstage, it’s hard to say how these concepts will read as a viewer. At one point in the discussion, someone asked how he would react to people who said they felt lost or didn’t understand what they were seeing in his work. “Isn’t that how we all are in life?” he responded. Perhaps it’s true that no one knows what they’re doing, and that we’re all a little lost. What O’Connor seems to be saying is that there’s room for ambiguity in viewing, and room for it to be present onstage just as it is in life. “In a non-denotative form [like dance], everyone is going to see something different,” he says. To experience O’Connor’s work for yourself, see BLEED on November 20-21 and poem and Secret Mary on November 22 at On the Boards. Sister will be performed at Velocity Dance Center on November 23 and followed by a Community Forum.